With potentially beautiful weather approaching this spring and summer, many people and organizations are planning a wide variety of outdoor events to take advantage of the warmer temperatures. Spring is the perfect time for ball games, weddings, car shows, construction projects, 5k races and more. These situations often involve quite a few people, both participants and spectators. 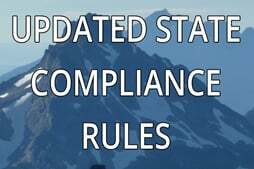 Many times, traditional restroom facilities are not convenient or accessible but are necessary for everyone concerned. 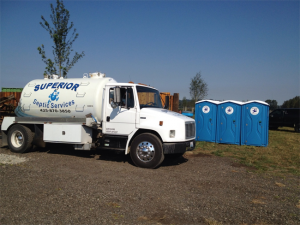 As experts in all things involving septic issues, including portable toilets, contact Superior Septic Services for portable toilet rental in Snohomish. Our portable toilets are clean and in excellent condition and we offer several models to meet your needs. Our most popular is the standard portable toilet which is a private stall that includes tissue, a non-flushing toilet and small hand sanitizing station. You may also take advantage of our ADA portable toilet that comes with the amenities above, is large enough to accommodate a wheelchair and comes with a ramp for those with mobility issues. Generally, one standard portable toilet is needed for about every 25-50 people. We offer timely delivery and pickup of the portable toilets that you rent. Costs vary widely according to the type of units required, how many you need and the delivery location. We are currently offering a promotion with free delivery and pickup with the rental of two units. Contact Superior Septic Services today at 425-905-2485 for questions about portable toilet rental for your outdoor project or special event or to schedule delivery.